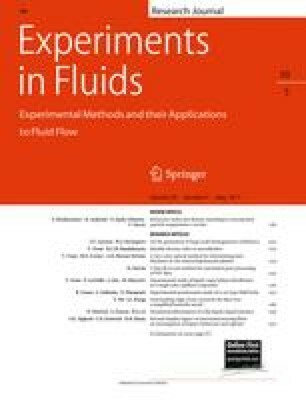 Optical measurement techniques such as particle image velocimetry (PIV) and laser Doppler velocimetry (LDV) are now routinely used in experimental fluid mechanics to investigate pure fluids or dilute suspensions. For highly concentrated particle suspensions, material turbidity has long been a substantial impediment to these techniques, which explains why they have been scarcely used so far. A renewed interest has emerged with the development of specific methods combining the use of iso-index suspensions and imaging techniques. This review paper gives a broad overview of recent advances in visualization techniques suited to concentrated particle suspensions. In particular, we show how classic methods such as PIV, LDV, particle tracking velocimetry, and laser induced fluorescence can be adapted to deal with concentrated particle suspensions. The work presented here was supported by the Swiss National Science Foundation under grant number 200021-105193/1 and specific funds provided by EPFL (vice-présidence à la recherche). We also thank AXA for additional funding. In this section, the reader will find other recipes used in the literature to match the refractive index of particles.